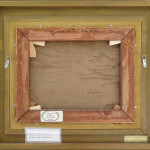 Maurice Cullen Inventory No. 860. 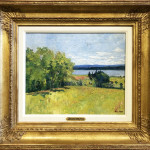 Maurice Cullen was born in St. John’s, Newfoundland, but came to Montreal in 1870 at four years of age. He studied locally ,originally with an interest in sculpture. 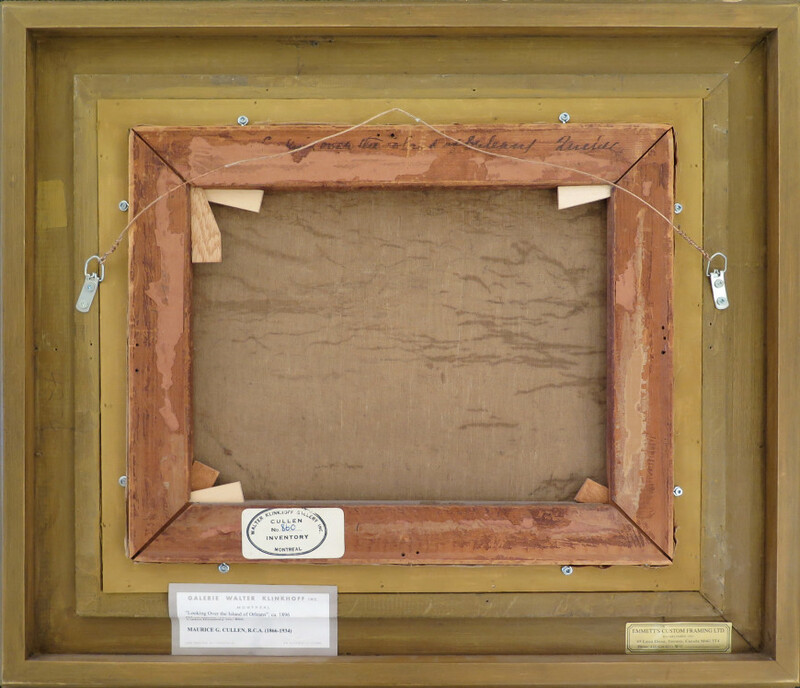 Fulfilling the aspiration shared by most budding artists of his day he studied in Europe from the late 1880s. In Paris he studied at the Academy Leon Gerome, the Academy Julian, the Ecole des Beaux-Arts and exhibited with the Société Nationale des Beaux-Arts in both 1894 and 1895 before returning to Canada in the summer of 1895. Although his studies in Paris had exposed him to the styles of a French academic realism and Barbizon school painting it was the technique explored by the French impressionists which captured his greatest interest. He was to share with the Impressionists the study of light reacting on his subject matter described with vigorous and generous brush strokes of paint. Our Cullen featured in this highlight is an exquisite example of Cullen’s work inspired by his studies in France. 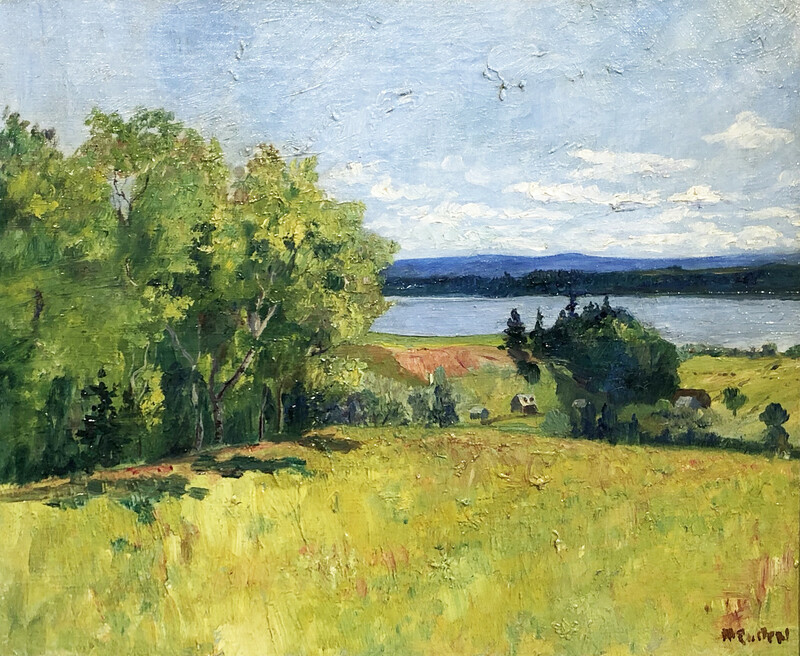 Inscribed on the reverse by the hand of the artist “Looking over the Island of Orleans, Quebec” meaning that he is on Ile d’Orléans ,likely with his perspective facing north ,is an important painting of either 1896 or perhaps 1897. 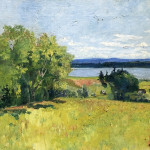 In the collection of the Art Gallery of Ontario there is an equally important Cullen somewhat larger in size than ours which is of virtually the same composition but painted in winter , one catalogued with the title “On the St. Lawrence” dated 1897 and exhibited in the Agnes Etherington exhibition of 1982-83. 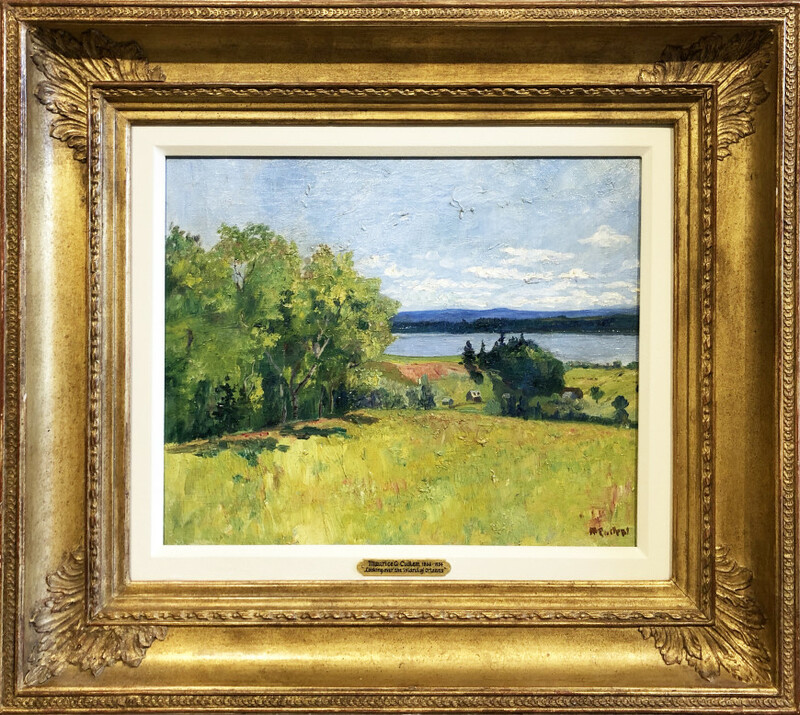 We believe that a purchase of this fine composition to be a significant addition to any significant private or corporate collection of Canadian art. We shall also take this opportunity to direct your attention to another especially fine Maurice Cullen we have available. "View of Quebec from Levis " of 1904, a magnificent painting of light in Quebec City, one of his favorite painting places, an enthusiasm shared by his stepson, Robert W. Pilot. For those of you who received the 2007 Annual Report from Power Financial Corporation, we refer you to pages 37 and 41 for photographs of two other comparable views of Quebec City painted in 1904 by Cullen.